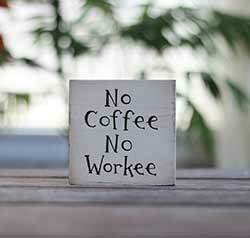 Coffee signs and plaques for your office, coffee station, or kitchen from Our Backyard Studio, The Hearthside Collection, Primitives by Kathy, and lots more! 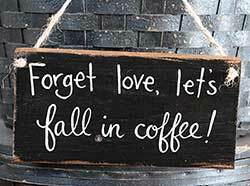 Let's Fall In Coffee Sign, by Our Backyard Studio in Mill Creek, WA. 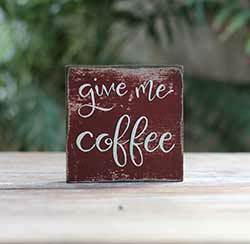 Perfect gift for the coffee lover, as a wall accent at a coffee station, in your kitchen, or at work! 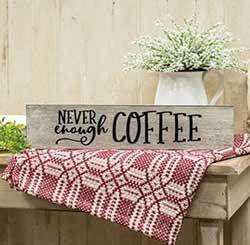 Accent your coffee station with this hand painted rustic wood sign! 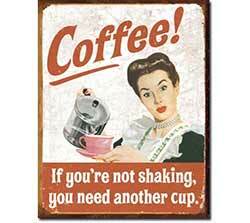 Makes a great gift for a coffee lover! 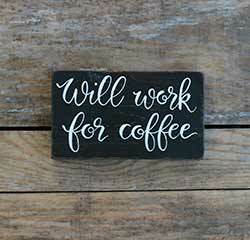 Painted antique white with black stained lettering, and engraved text reading "Never Enough Coffee." 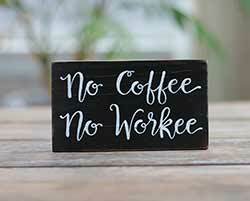 Add a rustic touch to your kitchen, coffee station, or office with this funny hand lettered sign, featuring reclaimed wood and freehand lettering! 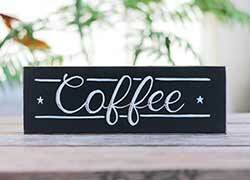 Add a vintage vibe to your kitchen or coffee nook with this old fashioned wood "coffee" sign, hand lettered the old fashioned way, inspired by retro signage! 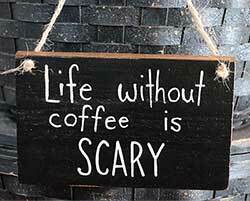 This black and white sign features a humorous (and relatable!) 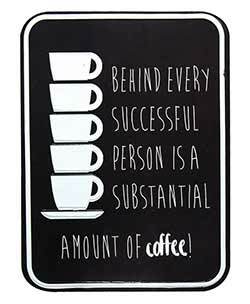 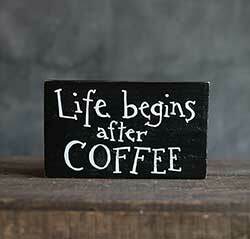 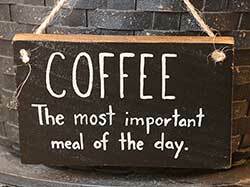 design, perfect for a kitchen or office - Behind every successful person is a substantial amount of coffee.